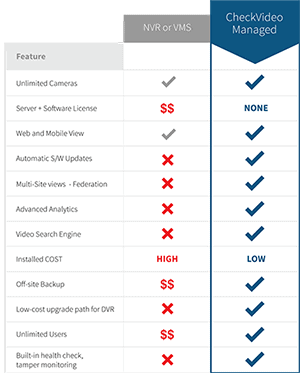 Falls Church, VA – September 1, 2014 – CheckVideo® announced today the expansion of its product line with the EYES Anywhere Outdoor Sentry Mobile (CMS4HD). The Mobile Sentry is a self-contained, cloud-based, wireless intelligent outdoor video surveillance solution that only requires power be added. It replaces many conventional outdoor video surveillance products and allows for one-stop intelligent video surveillance in virtually any outdoor or remote location, even in the absence of security and IT infrastructure. Also available now is a solar-powered option, which, depending on exact location, can generate sufficient power to drive all hardware that resides in the enclosure plus up to 4 HD-megapixel cameras, making the solution 100% self-contained. The CMS4HD watches video 24/7 for events of interest and sends critical, real-time alerts users can act on to notify authorities of an incident, helping to shorten response times and stop crimes in progress. Because the Mobile Sentry detects the presence of people and vehicles, not just motion, it dramatically reduces nuisance alerts. Video alerts can be sent to a central monitoring service, email addresses, smartphones, or the secure CheckVideo Web portal via the nationwide wireless cellular networks of Sprint and other major carriers. The solution also continuously records video 24/7 for forensic use. Live, recorded and event video from any camera in the system can be viewed remotely anytime and anywhere from the CheckVideo portal. 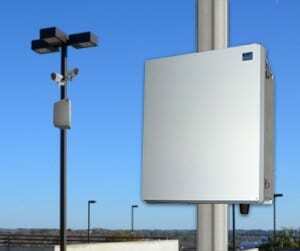 The EYES Anywhere: Outdoor Mobile Sentry is designed to meet diverse customer needs. Example end users include construction sites, parking lots, storage depots, utilities, municipalities and schools. The solution doesn’t require additional hardware or software on site or specialized IT skills for installation. Customers can select from a menu of accessories that include outdoor IR cameras and pole mounts to facilitate installation. All configuration and management of the system is completed remotely over the Web, keeping additional service calls to a bare minimum.